Green mung beans are the most exhalted of all the legumes. They should form the basis of a healthy vegetarian diet. Try to frequently have green mung bean dal. You can also make a flour of them and prepare vegetarian pancakes. This book contains one long, very interesting and informative essay on biographical writings in the Jain tradition. The author translates and discusses biographies and autobiographies of two Jain monks who lived in the 11th and 14th centuries respectively. The book also brings together twelve essays by leading scholars of Chinee and Indian civilizations from Europe, North America and Asia. The essays cover a wide range of topics in Indian and Chinese religions and cultures and offer fresh insights into the study of the Asian traditions in presenting the latest findings of scholarly research. 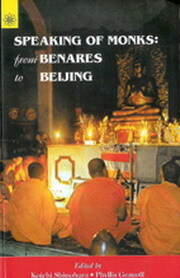 The topics covered include a discussion of the role of women in Chinese religion, attitudes towards language and translation in Indian Buddhism, early Taoist thought, issues in Buddhist epistemology, miracle working images in medieval China, the history of Ch’an Buddhism, the process through which Buddhism was introduced to China, and art criticism in classical china.